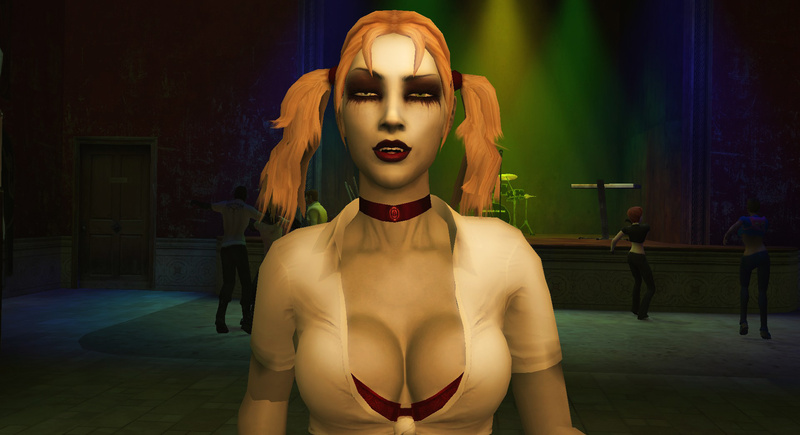 Vampire: The Masquerade - Bloodlines is one my favorite games of all time. It received mixed critical responses, was buggy as hell when it came out, and probably could have used at least another year of development time. That said the game does an impressive job of immersing you into a world filled with vampires. Better yet, it lets you become a vampire. All of the characters are believable, your actions carry weight and affect the story, and the locations are both detailed and interesting. It's one of the best RPGs ever created. 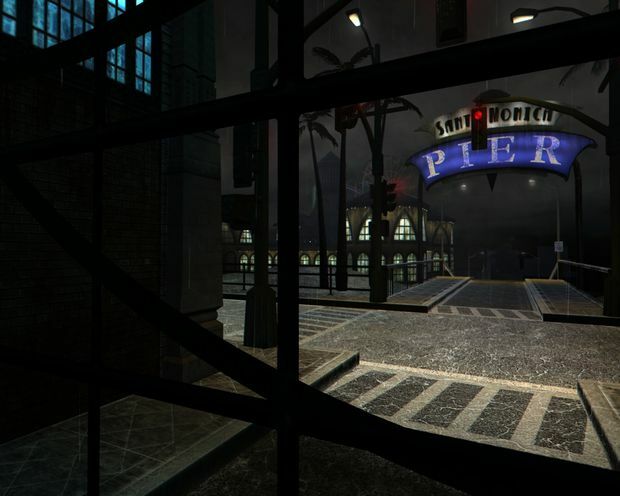 Vampire: The Masquerade - Bloodlines is one of the first two games to use Valve's Source Engine. The other was Half-Life 2. It was done before HL2, but Valve had it in the contract for Source that Bloodlines could not release first. They were both released on the same day: November 16, 2004. It is the third and last game made by Troika Games. They also made Arcanium of Steamworks and Magick Obscura, and The Temple of Elemental Evil. All of the writers on Bloodlines were replaced halfway through development. There were only 72,000 copies sold. These poor sales were a large contributor to Activision shutting down Troika. 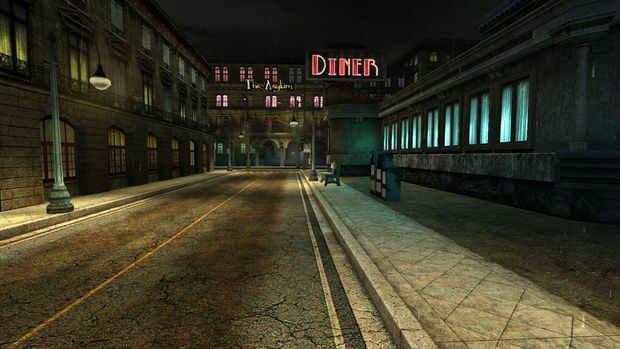 There are few major ways you can mod VtMB, and which one you choose depends on how much you want to change the core game. 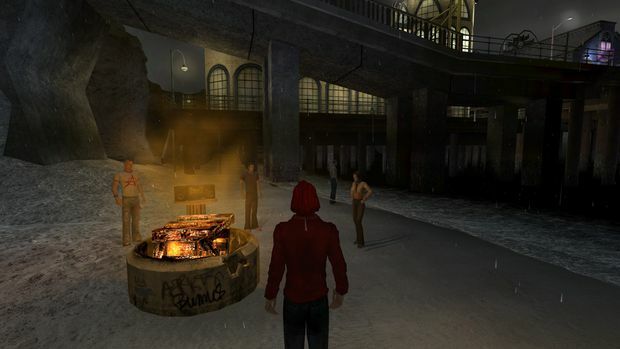 I usually try and play things as close as I can to the original, but if you have already played VtMB a few times, you will probably really enjoy some different content. You can only download and install one of these, and you'll have to start a new game in order to get all of the new features. A: The Unofficial Patch version 7.9. This fixes a crazy amount of bugs and restores some content that was left out of the original game. Here is a list of all of the changes. There is a plus version of this patch you can choose from the installer, which restores the most unfinished content and it has some controversial bug fixes. I prefer the "basic" option, but the "plus" version is good too. This one is a good choice if you just want to play the game as close to vanilla as possible while at the same time avoiding major bugs and flaws. 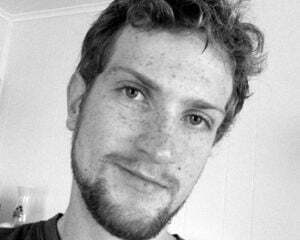 B: The Camarilla Edition. This is a very nice overhaul mod. In the vanilla game, your bloodpool never drains on its own -- you have to cast spells or be injured before you need to feed. This makes your bloodpool drain slowly over time as well, which means you'll have to do more hunting and feeding. You'll also start to die if your bloodpool drops too low. What's more, feeding will no longer give you a health boost, meaning you have to just wait for your bloodpool to restore your health. There are also changes to character histories, the seduction skill, the stamina skill, and clan weaknesses. Here is the manual that contains all of the changes. This is based on the Unofficial Patch, so it includes all of those changes as well. If you want a little bit of tweaking without straying too far from the vanilla VtMB, then this is a good choice. C: Clan Quest. This adds 12 brand new quests to the game (one for each clan, two for evil players, and three others), an achievement system, tons of new dialog, new cutscenes, and new NPCs. All of these changes are based on existing World of Darkness lore. The installer lets you choose to install other compatible mods as well, including the "plus" option of the Unofficial Patch and The Camarilla Edition. This is my recommended overhaul mod set. Install this with the Camarillia Edition and Arsenal Mod options selected. D: The The Final Nights mod. This is the most drastic overhaul. It completely replaces all of the existing clans with new ones, has a new combat system, changes the Masquerade Violation System, changes all of the licensed music, replaces a lot of textures, enhances and changes some quests, adds new NPCs, and tweaks some of the gameplay mechanics. You can read the full list of changes here. I don't recommend that you choose this one unless you have already very familiar with VtMB. It just changes too much. It's more of an alternate version of the game than an enhanced version. Once you have picked one of the above overhaul choices, you can add a couple of additional mods to make the game look slightly better. Both of these are included in all the overhaul mods and they can be found in the "extras" folder in your VtMB install directory. 1. Run the Widescreen patcher. This handy little tool will let you play the game in a resolution better than 1280x1024. Just pick your monitor's resolution ratio, and the mod will do the rest once you click install. You can also edit your field of view (FOV), but I recommend that you just leave that alone for now. $19.99 may initially seem like a lot for a game made back in 2004, but trust me, you won't regret picking this one up. 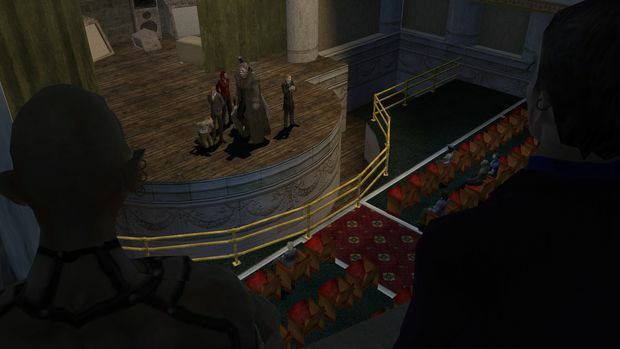 Vampire: The Masquerade - Bloodlines might have been buggy when it first came out, but seven years of patches have been very kind to the game and made it worth playing even in 2012.